Community Driven Art Show Opens Tomorrow Night! 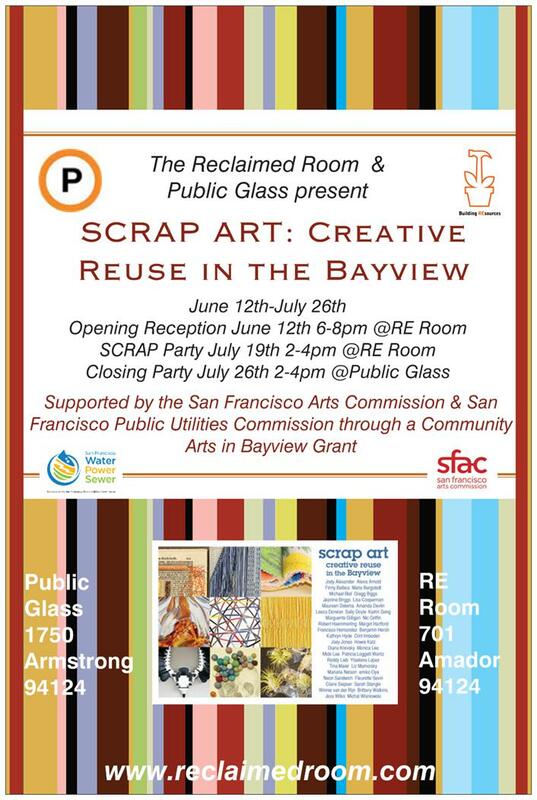 The Reclaimed Room at Building Resources is excited to be part of this multi-faceted community art show instigated by SCRAP-SF! 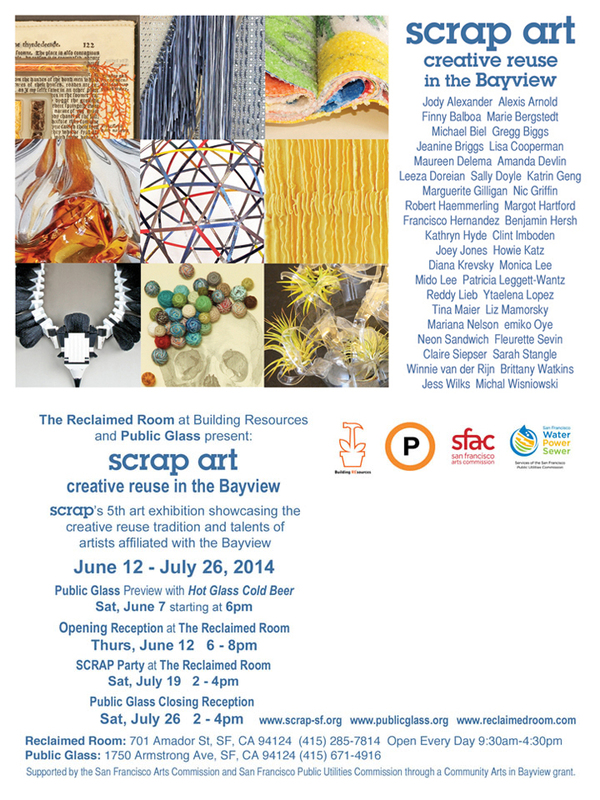 JOIN US TOMORROW from 6-8pm for the opening reception of SCRAP ART: Creative Reuse In the Bayview. This exhibit not only shows the work of dozens of reuse artists from the Bay Area but also represents friendships, community partnerships and innovative programming. 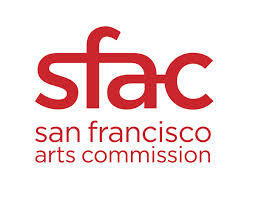 Funded by a generous grant by the San Francisco Arts Commission and the San Francisco Public Utilities Commission, SCRAP ART spans multiple Bayview venues and highlights innovative and awesome work by dozens and dozens of local artists. There are installations, jewelry, hard to describe sculptures, many renderings of the human form as well as unique panel art and incredible design pieces. We want to thank our collaborators in this effort as well as our community partners that have helped to spread the word. THANK YOU PARTNERS!!! And THANK YOU Community Partners for helping support and spread the word!! Tomorrow night, we will celebrate this new display and announce the Jury prize winners of the show. 1st, 2nd and 3rd prizes will be awarded gift certificates of $100/$75/$50 from Building REsources, SCRAP and Public Glass!! Snacks, drinks and fun FREE of charge from 6-8pm. This entry was posted in Building REsources, Reclaimed Room Exhibits, recycled art and tagged bayview, Building REsources, community partnerships, ecology, local artists, Public Glass, recology, San Francisco Arts Commission, San Francisco Public Utilities Commission, scrap art, sf arts commission, sf PUC. Bookmark the permalink.